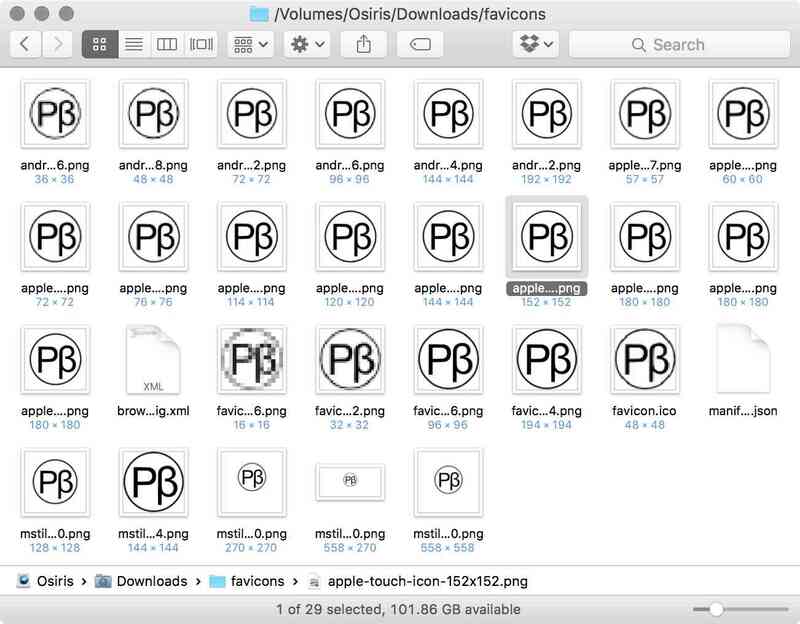 Last week, John Gruber wrote a piece on Safari and the lack of favicons in her tabs, his thesis being that Safari’s user base could be larger should Apple follow Google Chrome’s example. I agree. Like Gruber, I am a dedicated Safari user. I only use other browsers when I’m doing compatibility testing. I am also a heavy tab user. I’m generally running with a ten or more tabs, but often find myself with 20-30 open when I’m engaged in a project. Gruber is spot on here. On my system right now, the Safari tab bar is effectively useless, as you can see in the image above (click the image for a full-size version).1 Chrome’s tabs are considerably more usable because they do feature a favicon in each tab. Thus, even with a large number of tabs in play, it’s easy to quickly locate the one you require. In fact I have to agree with Gruber in that, in all likelihood, this is because “some contingent within Apple thinks it would spoil the monochromatic aesthetic of Safari’s toolbar.” Let’s face it, most favicons are not visually pleasing and, whilst being immeasurably useful in tabs, add an unsightly visual clutter to the browser. This is not surprising given the original design limitations of the favicon — 16×16 pixels; 256 colours; bitmapped — restrictions like these don’t give graphic designers much room for creativity. Personally, I would love to see Safari implement favicons in tabs and, like Chrome, be able to collapse a tab to the favicon alone when the user has a large number of tabs open. However, like Apple, I don’t much fancy the idea of having all that visual clutter in the browser. Now, back in 2015, with the release of OS X El Capitan and Safari 9, Apple introduced pinned-tabs to the browser. One of the niceties of the implementation, as I wrote at the time, was Apple’s use of an SVG icon for a website in a pinned tab. This required, naturally, the webmaster to make a corresponding file available on her web-server. However, there is a fallback. In the absence of a suitable file, the pinned-tab icon becomes a stylised render of the first character of the website’s domain name. in the absence of both SVG and favicon, use the fallback render of the first character of the domain name. Safari Tab Mock-up with Favicons — Credit: Jason Snell. This directory contains 27 icons. That’s what I need today to satisfy all the variations of favicon and app icon required of this website. Reece is correct, we don’t need yet another variant of the favicon. So, rather than being a “dead-end,” I see the Apple’s adoption of the SVG for its pinned-tab as being bold, insightful and possibly indicative of something better to come. We webmasters should embrace the SVG, not denounce it. One final point regarding Gruber’s assertion that, “no other browser in the world supports these images, so many websites don’t even have these graphics.” This is true, but it’s something of a straw man. There was a time when no websites had favicons. But, once webmasters recognised the utility of the file, they were quick to respond. The same would happen today. If the SVG favicon gained a foothold, perhaps driven by Apple, it wouldn’t be long before webmasters began to create them for their websites as a matter of course.3 Twenty-seven files versus a single one (and fewer requests to the network)? I’ll take the advantages of the SVG option every time. It is this author’s humble opinion, that we should not use bitmaps for any icon, favicon or otherwise.